3D moulded mug shaped just like Bob! 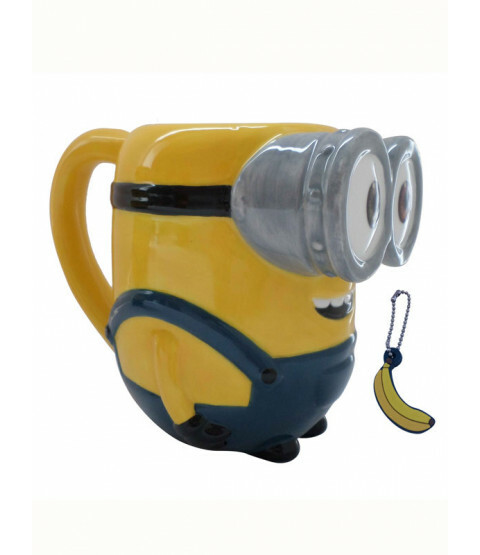 This fantastic Minions Bob 3D Mug is an ideal gift for any fan of the Minions or Despicable Me films. The ceramic mug is an exact replica of the lovable Minion Bob and has a glazed finish and wonderful attention to detail. 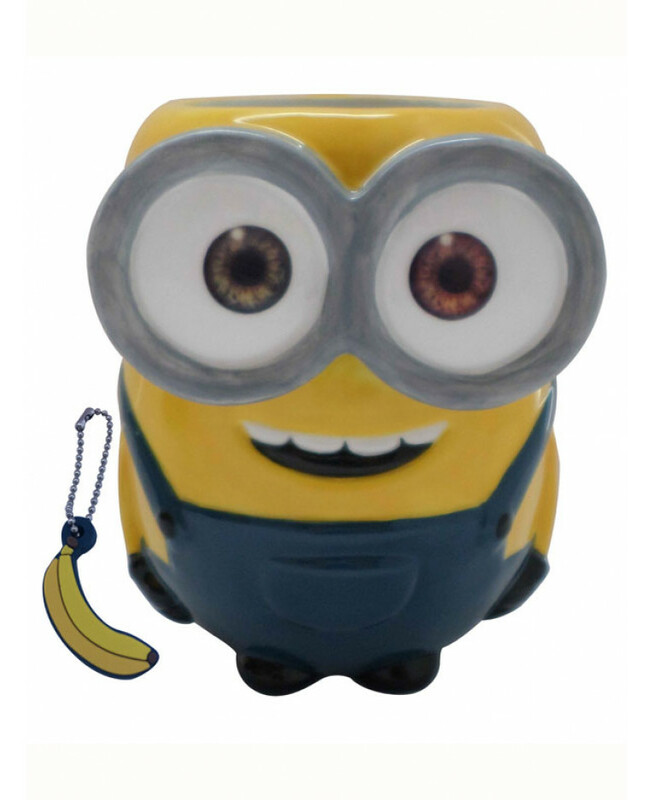 It also comes with a banana shaped and scented charm that can be hung on your keys, pencil case, mobile phone - wherever you like!